This is fast becoming one of my favourite things. Expensive but worth it… just so delicious and so Pinot. A finely grained red from Baden in southern Germany, and a true bargain for lovers of pinot noir (known here as spätburgunder). All sweet, ripe cherry flavours (including the pips!) and great length. Some German Pinot is pretty expensive, but the best examples are really exciting. Yes! When we were in Baden Baden, I was struck by how good they were. Now I’ve been seeking them out and nearly always like the combination of weight, fruit intensity/perfume and general elegance. Also like the ones from Furst, so will definitely check out that one ASAP. Had this one at the weekend (it’s a Pfalz wine) which struck me as rather winsome. I suppose though at the price (£27) it ought to be. The Wassmer is good value at the price. (For some reason you have to click on the image to see the whole thing). I really like Zeter’s wines - though never tried his Spätburgunder! I shall now. His Fume Blanc, though not cheap either (£22), is wonderful, as is his Grauburgunder. If you mean for the Oliver Zeter wines - TWS doesn’t stock them. But they are fairly easily available. I buy them from a local merchant in Brighton. 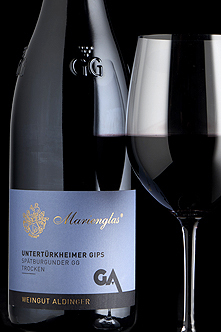 I liked the Aldinger wine that TWS had a year or two ago - Unterturkheimer Gips (after a little CellarTrackering!). Extravagantly perfumed, and while nothing like Burg much better value than NZ Pinot. Must try the Wassmer some time. I see Solent Cellar do them. Solent Cellar are brilliant, but I don’t think they do the PN. I seem to recall I got it from Caviste near Odiham. Mind you, says it’s from France! Agreed, this one is VGV in my view. 2015 and 2016 are both very good. Comparable to very decent village level Burgundy in quality and a bit cheaper. (That’s the ornery one, not the reserve. I haven’t tried it so no comment). 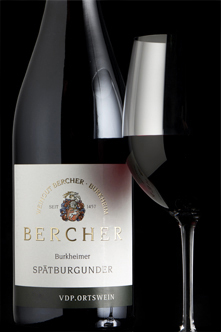 Elegant German pinot noir from a top producer in the Kaiserstuhl in Baden and a top vintage. Light cherry in colour and with a flavour recalling cherry and cherry pips. Though no longer available, unfortunately. Very good value for £16 in my opinion. I had my first bottle of the 2015 last night, thought it was gorgeous but found it quite full-on (because of the ripe vintage?). Wondering about putting a half case of the 2016 in reserves as well, can you (or anyone else who’s had both) give an idea how (if at all) it differs to the 2015? Thank you! Good point. I agree that the 2015 is more full on and sweeter fruit than the 2016. It was more noticeable on day one of drinking than day 2. I used the 2015 at a charity tasting that I did about a month ago, and then had the 2016 a few days later myself. To be clear, it’s probably quite a nuanced difference, but I agree with your general observation. They have the same drinking window according to WS (about 8 years from vintage), not sure if any of mine will make it that far! 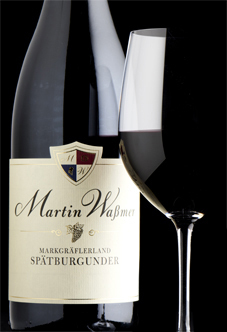 A full-flavoured, barrel-aged German pinot noir from a top vineyard in Wurttemberg. This would go beautifully with a venison stew. 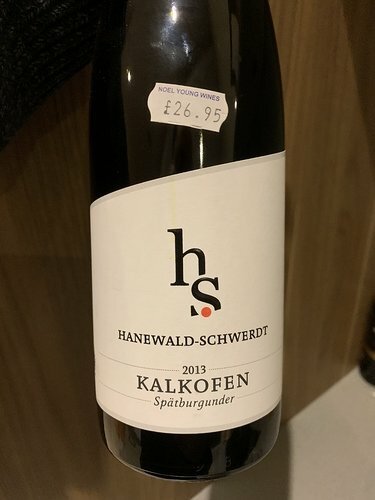 Currently listing this single vineyard wine from Aldinger ,I have loved everything I have tried from them, but this is at a once (or twice) a year sort of price for me. I have tried some even more pricey wines from Mayer Nakel, which are the best Pinot Noirs (outside Burgundy) I have yet had the pleasure to try. Have a single Jean Stodden JS bottle to try as well. I found their 2015 basic PN very agreeable and at a friendly price. Have added some 2016 and a premium cuvee to the cellar since. I paid £18 for the Aldinger U Gips 2015. I’m sure this producer is better, but even in the context of the B word that’s a heck of a price rise! Was that the exact same wine? I know he has a less expensive cuvee and this is a single vinyard effort.